Imagine if you could just wake up with clients that have booked and paid for what you have to offer. And you didn’t need to do a single ‘sales call’. Let’s face it: we live in a world where our words do the talking for us. Businesses behind computer screens means that the best way for people to get to know us is: through what we say. It’s also very very noisy on this here internet. Everyone has got something to say. Sometimes it feels like everyone is saying the same thing. And it’s easy to feel lost and disconnected and overwhelmed about what your message even is. Getting clear on what you’ve got to say and how to say it best really is the difference between a paying business, and an expensive hobby. And you feel like you’ve been asking: ‘how do I explain what the f*ck it is I do?’ for way too long. So you end up saying…nothing. The blank page stares at you. Your instagram grid gathers dust. And as for your monthly newsletter? Try once every six-monthly if you’re lucky. 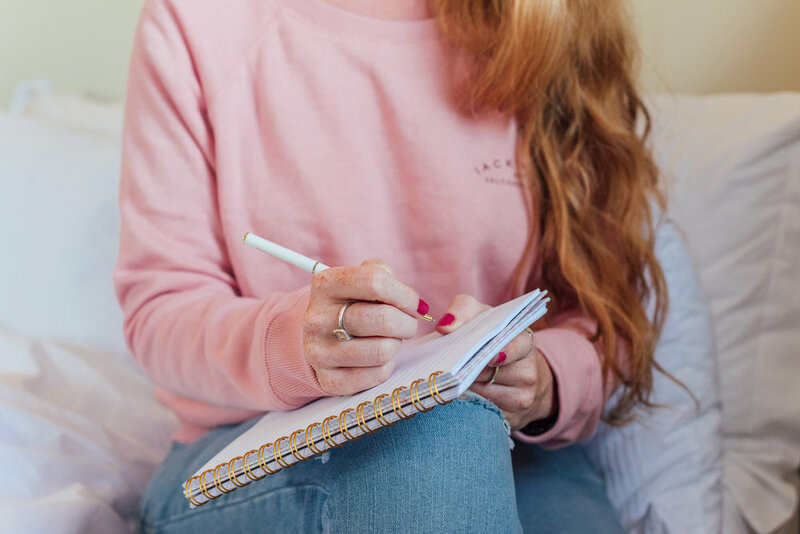 As a copywriting consultant and business coach, I’ve had the pleasure of supporting 100’s of businesses to nail their words and story so they can sell their brilliance, and naturally I utilise these skills in my own business too. Last year I launched my coaching services, and had dream clients within a week. Earlier this year I launched my Magic Activation VIP Days, and sold all 6 spots within five days. And I know it’s because I’d gotten really clear about who they were for, what they were about, and I got people really excited about them. (BECAUSE I WAS EXCITED, TOO! TOP TIP #1: GET EXCITED ABOUT YOUR STUFF!) And this was all done through my words. I didn’t do a spot of video or lengthy promotional campaign. What I’m saying is that your words are really powerful. And when you get them working for you, you will be winning. BABE - YOU’RE BLOODY BRILLIANT. SO LET’S PUT THAT BRILLIANCE ON THE PAGE. COS’ YOU GOT CLIENTS TO SERVE & BILLS TO PAY. Let your words do the work for you.